Have you ever seen any mobile application working in the background silently even after you have uninstalled it completely? 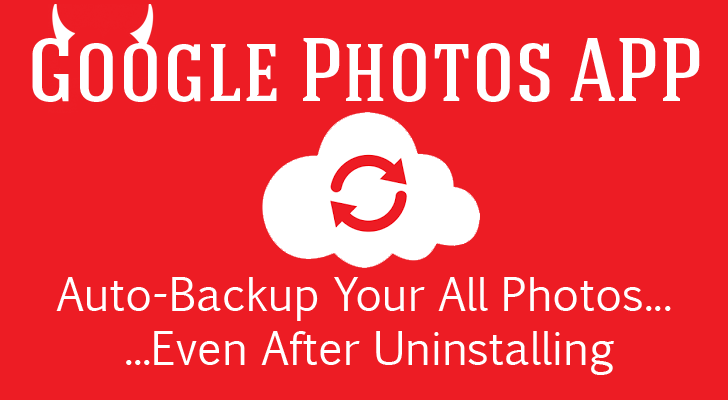 I have seen Google Photos app doing the same. Your Android smartphone continues to upload your phone photos to Google servers without your knowledge, even if you have already uninstalled the Google Photos app from your device. Nashville Business Journal editor David Arnott found that Google Photos app uploaded all his personal photographs from the device into the service even after uninstalling it. Arnott provided a video demonstration showing that after uninstalling the Google Photos app from his Samsung smartphone, the photograph he took off his coffee mug still wound up being synced into his account on the web. "Months ago, I downloaded the [Photos] app to play with it, but I did not like it and so un-installed the app after just a few days," Arnott tweeted Wednesday. "This evening, I went back to Google Photos on my laptop and found a crap-ton of pictures I'd taken in the interim. It seems that even AFTER I UNINSTALLED the Google Photos app it was still syncing pictures from my phone when on WiFi. Obviously a problem." I tried the same quirk on my Android phone as well and discovered the same issue. This is something really annoying and scary at the same time. When Arnott reached out to Google, the search engine giant said, "The backup was as intended" and that the users will have to turn off the feature in the phone's Google Play Services settings. It's because the Google Photos' settings are interconnected with the phone's Google Play Services. So if you are an Android user and looking to avoid having your personal photographs on your phones automatically being stored on the web, you need to disable the sync option from either the Google Photos app(if installed on phone) or from your phone's Google Settings.